Barbering: How to cut & style long, curly locks The Bluebeards Revenge, has teamed up with award-winning barber Tom Chapman to offer expert advice on how to cut and style long, curly locks to be proud of. Tom is also founder of The Lions Barber Collective, a charity which raises awareness of male suicide and mental health issues. 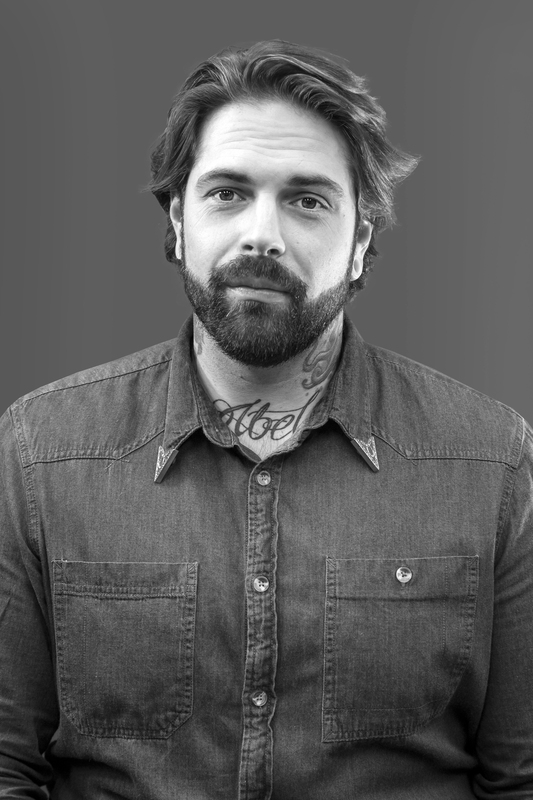 Premium British men's grooming brand, The Bluebeards Revenge, has teamed up with award-winning barber Tom Chapman to offer expert advice on how to cut and style long, curly locks to be proud of. Tom is also founder of The Lions Barber Collective, a charity which raises awareness of male suicide and mental health issues. Men with curly hair can often be found desperately trying to iron away their God-given gift; they just long for super straight styles! But the chance to have a healthy head of ringlets is something to be celebrated – just look at the joy Kit Harrington's locks have brought to the world! I've been told by many stylists over the years that they are scared of cutting curly hair! Maybe this is because training for curly hair is often limited in the barbershop, especially when it's longer; or maybe it is due to the fashions in their area. Either way, once you get used to working with curly hair it can open up so many new opportunities, styles and techniques that are not achievable in straight hair. 1. Start by washing the hair. For best results, products such as The Bluebeards Revenge Shampoo and Conditioner will ensure any previous styling products and excess oils are removed from the hair. 2. Apply The Bluebeards Revenge Matt Paste as a pre-styling product to help you manage the curls. 3. Start by putting in a profile parting from the front to the nape. 4. Then put in a zigzag section from the profile parting to the back of the ears. 5. Cut the hair to the desired length at the back. When cutting long curly hair, always remember to leave a little extra length to accommodate the natural curl and bounce of the hair. 6. Put in a block graduation to remove excess weight from the hair. 7. Release the top of the hair and cut it to match the desired length at the back. 8. Create a radial parting to separate the front and the back of the hair. Elevate the hair at a ‘T' to the parting and continue to cut to the desired length. 9. Follow your guide length around to the front on both sides, point-cutting as you go to add texture. 10. In front of the ears, over direct the hair backwards to maintain a balanced length around the face. 11. While the hair is wet, use twist cutting to remove further weight. 12. Blow-dry the hair with a diffuser on a medium heat. A diffuser gives a more natural finish and accentuates the curls. 13. Finally, scrunch a pomade such as The Bluebeards Revenge Pomade into the curls for added volume, texture and hold. 1. Styling long hair at home is all about making the most of pre-styling products that make curls easier to handle. If you can, leave your hair to dry naturally as this will accentuate the curls. If not, invest in a hairdryer and a diffuser. The diffuser will help to manage the frizz that often comes with curly hair. 2. Start by washing your hair with Shampoo and Conditioner. 3. Towel dry your hair and apply a pre-styling product such as The Bluebeards Revenge Sea Salt Spray. Comb the spray through your hair from the roots to the tips. 4. Blow-dry your hair with a diffuser on a medium heat to remove frizz and activate the sea salt spray's properties. Direct your hair backwards as you do this to keep the curls out of your face. 5. To add extra volume, texture and hold, scrunch a small amount of The Bluebeards Revenge Pomade in to the ends of the hair. For more expert hairstyling tips and tricks from The Bluebeards Revenge, visit BluebeardsTV on YouTube!